Psalm 119 is the biggest chapter in the whole bible. Its 176 verses are divided into twenty-two stanzas, one stanza for each letter of the Hebrew alphabet. We have divided this Psalm into three different volumes. 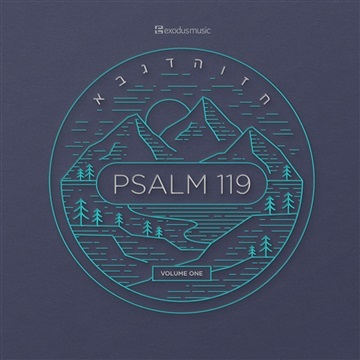 With this volume are the first 8 stanzas of Psalm 119 originally composed to music with the exact lyrics from scripture. We hope it is a blessing and a tool to help memorize and meditate on God's holy word. Contributors: Barry Simpson, Nathan Chapman, Alex Kneen, Debby Cowan, David Wilson, Kirk Brown, Chad High, Brittany Griffin, Hannah Pendergrass, Levi Pendergrass, Jeremy Lefevers, Jon Beni, Stuart Payne, Byron Cutrer Sr.